We know oral health is about more than looking your best. It’s about sustaining healthy teeth and gums. Were you aware that the cause of most tooth loss is actually gum disease? Recent studies have confirmed a link between gum health and your overall health. The good news is that our team of dental professionals at Mosaic Dental can treat gum disease successfully, often using nonsurgical methods. We want our patients to have excellent oral health. We promise to pay close attention to all of your dental needs so you not only look good, but are as healthy as possible. As you age, your teeth experience a lot of wear and tear. There are a number of different conditions and problems that you may experience with your teeth, from stains to reduced saliva flow to gum disease. In addition to staining from years of drinking coffee and tea or chewing tobacco, you can also experience problems related to reduced saliva or aged fillings. As you age, it is important to give your teeth the proper care that they need, but if you’re experiencing problems, the team at Mosaic Dental is more than happy to help. If you need to schedule a regular cleaning or you have a dental emergency, contact us today. With a breakthrough in design and fit, we can offer natural-looking dentures that won’t slip! This technique secures the denture plate so you no longer need to worry about the food you eat or that your dentures might shift. If you wear dentures, be sure to ask about this, as it might just make your life a lot easier. For ages, silver-mercury amalgams were the standard filling material. In fact, many dental practices still use them. While they work for restorations, amalgams have shortcomings. Metal doesn’t attach well to teeth, so decay can leak into teeth. 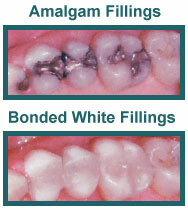 However, the main reason many of our patients choose white bonded fillings is because they match the color of your existing teeth. Many people just don’t want an unsightly metal plug in their teeth, and at Mosaic Dental, we feature natural-looking white restorations that contain no metals and can actually strengthen your tooth structure. They also bond tightly with the healthy part of the tooth, so there is a substantially less chance for future decay. Teeth with damaged or infected roots used to require extraction, which can lead to a lot of problems and should be avoided whenever possible. When dentists began performing root canals to save teeth, the procedure received a reputation as something to avoid. However, with newer anesthetics and technologies, root canals are easily manageable for patients. The dentists at Mosaic Dental are highly qualified in the treatment of advanced root canal therapy. A root canal procedure repairs a tooth by removing its pulp chamber and replacing it with a filling material. This is often necessary when decay reaches the nerve, or when the tooth has become infected, and a simple filling won’t be suitable. There is a link between dental health and your body’s ability to control blood sugar levels. 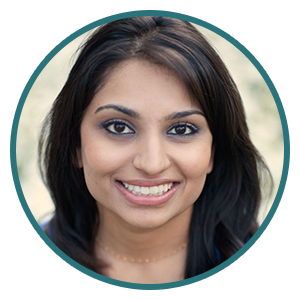 Did you know that not all dentists are equally prepared to care for diabetics and their dental health? Untreated gum disease can worsen diabetes, and diabetes worsens gum disease — it’s a vicious cycle to break. You’ll be happy to know that we have received unique training in dental care for diabetics. Give us a call for a complimentary consultation about dentistry for diabetics. When you work with us, you can look forward to compassionate and completely non-judgmental care. We are happy to help. What is Xylitol and How Can It Reduce Cavities? Xylitol is a naturally occurring substance found in fruit, berries, mushrooms, and other vegetables. It is effective in fighting tooth decay caused by foods that are high in sugars and starches. More than 25 years of clinical testing confirms that xylitol is an excellent sweetener for teeth. It has even been endorsed by dental associations from Finland, Norway, Sweden, England, Ireland, Estonia, and the Netherlands. 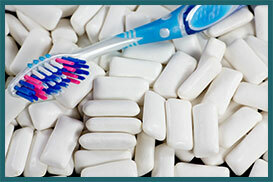 Xylitol is often found in chewing gum, tablets, toothpaste, mouthwash, and candy. It’s also useful for anyone suffering allergies and comes in a nasal spray. At our practice, we offer and encourage the use of xylitol products — we have found the results to be amazing. If you strive for fewer cavities and improved upper respiratory health, ask our team about xylitol!